As a hardworking Bay Area professional or student, you might be feeling overwhelmed with life and find yourself in a battle with anxiety. When you try to fall asleep, your mind keeps racing – worrying about relationships or stressing about work. Maybe you are in a relationship that isn’t working that is causing you even more fear and anxiety. Perhaps you have had a panic attack or struggle with obsessive thoughts. You might struggle with perfectionism and a harsh inner-coach. You are feeling desperate and hopeless to find a solution to this pain. You might be having thoughts like “I am not enough” and feel alone in it all. If you are suffering from anxiety and are tired of feeling so stressed all the time, you’re in the right place! Let’s let go of the struggle and get relief from anxiety once and for all. 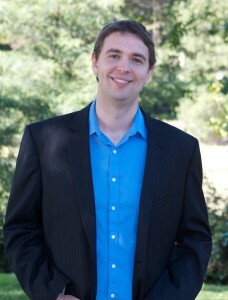 My name is Ellis Edmunds and I am a licensed psychologist in Rockridge, Oakland, California. -Having more clarity of mind at work. They become more kind and loving toward themselves. They connect with their values and start living a life of peace, joy, and ease. I get it. Reaching out for help from a therapist can be scary and feel vulnerable, and not everyone calls you back. I try to make the process of starting therapy as easy and comfortable as possible. I will return your call or email as soon as possible. Contact Me for a Free 15 minute consultation and we can discuss how I may support you best. Going Through a Hard Time? 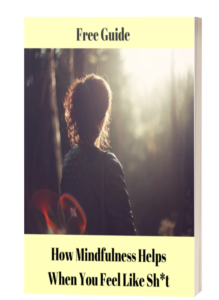 How Mindfulness Helps When You Feel Like Sh*t.